Jack Laugher was left to reflect on ‘the best day in English diving history’ having completed a hat-trick of titles at the Commonwealth Games. 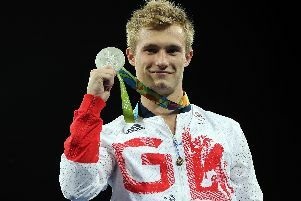 Jack Laugher is celebrating another gold medal at the Commonwealth Games. Olympic champions Jack Laugher and Chris Mears had to settle for fourth in the men’s 3m synchronised event at the World Championships in Budapest on Saturday, just hours after two younger members of the City of Leeds Diving club made their mark. NO ONE will be prouder than Jack Laugher when the gold medal-winning diver boards the open top bus which will carry Yorkshire’s Olympic and Paralympic champions through the streets of Leeds at teatime. 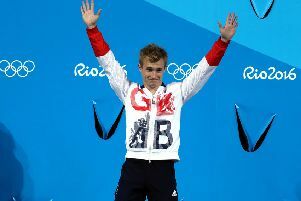 Four years ago Jack Laugher was a petulant teen, smashing the water with frustration and angst after a slip on the 3m springboard saw his Olympic hopes submerge in the waters of London’s Aquatic Centre. 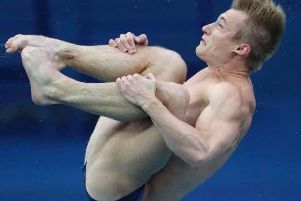 Jack Laugher scraped through to the 3m springboard final by the skin of his teeth in an error-strewn semi-final. 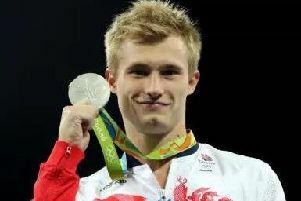 The father of Olympic gold medal winning diver Jack Laugher said his son's tears of joy put to bed painful memories of a heartbreaking experience at the London Olympic four years ago. Jack Laugher and Chris Mears won Britain's first ever diving gold medal and Yorkshire's first of the Rio Olympic Games after winning the 3m synchronised springboard.